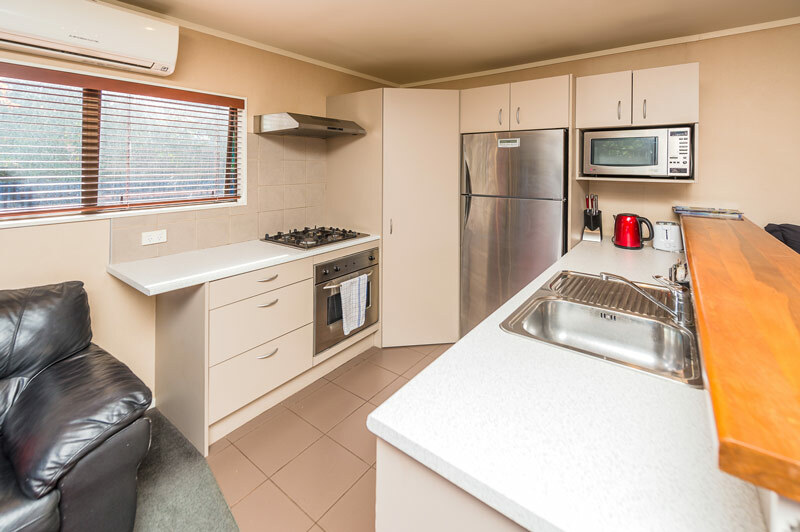 This spacious, 1 bedroom self-contained suite sleeps a maximum of five and is fully self-contained with kitchen facilities including a dishwasher, oven, gas hobs, fridge and microwave. 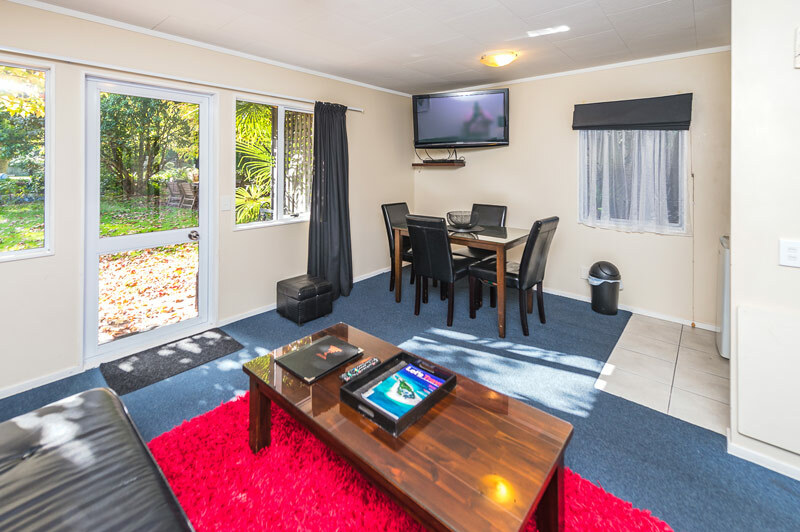 A stylish open plan lounge and a dining area has air conditioning and a 32inch LCD TV and DVD player and opens onto a verandah overlooking the pool and spa -great for a family holiday. 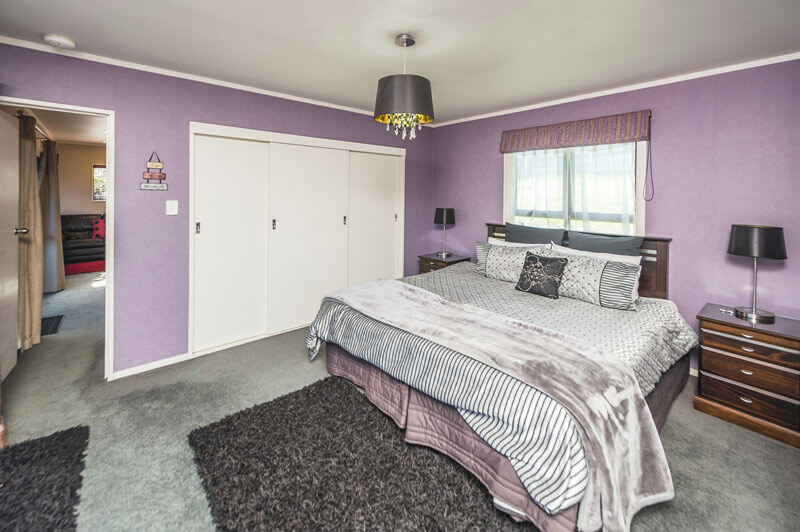 The bedroom has a super king bed and an LCD TV, the lounge has two single beds in the lounge with a fold out couch for a fifth guest. 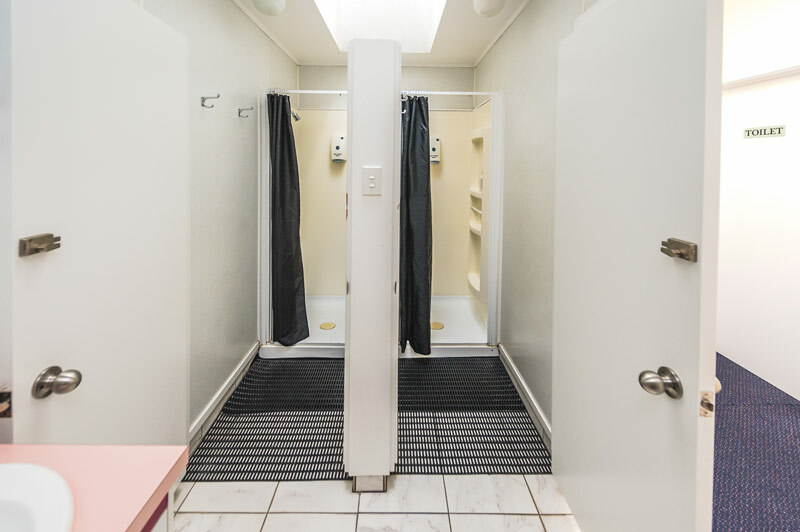 The bathroom has a large shower and a heated towel rail. The apartment is serviced daily. 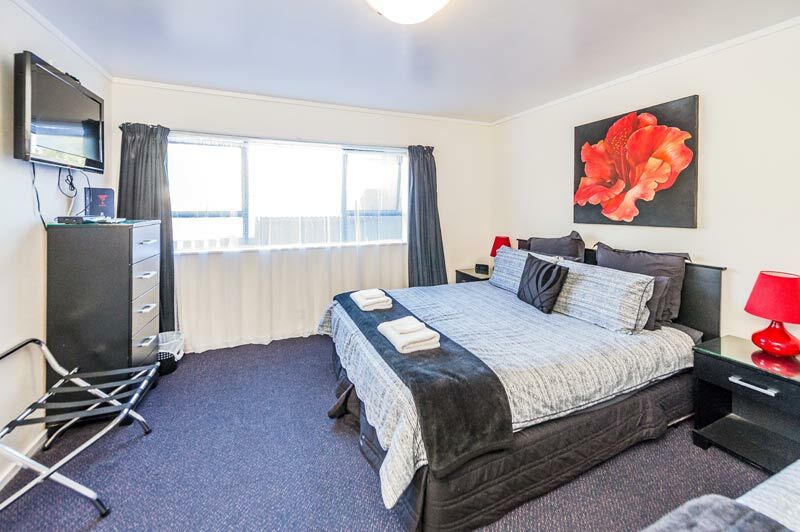 Minutes from the city centre, situated on the banks of the Whanganui River, take in the sights of the Wanganui Arts and Cafes and Market or Kowhai Park. 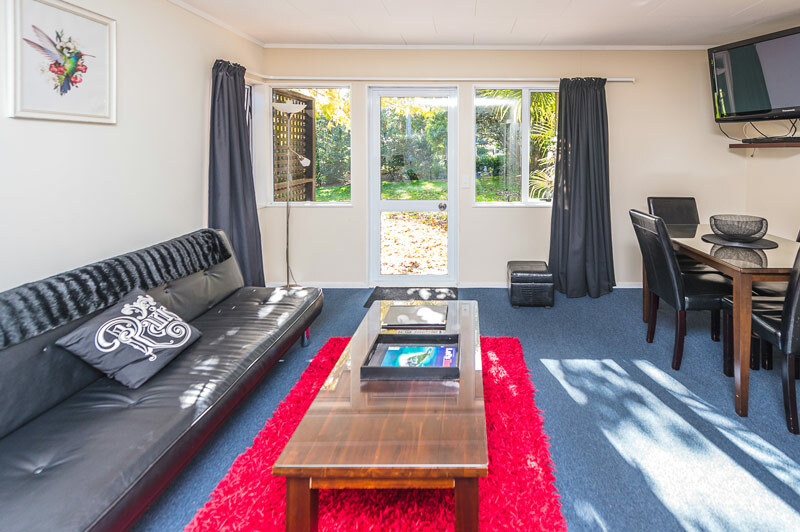 Our Lodge Family Suite is a specially created zone for families of up to 5 people who want all the benefits of being in the Lodge but also like their own space. 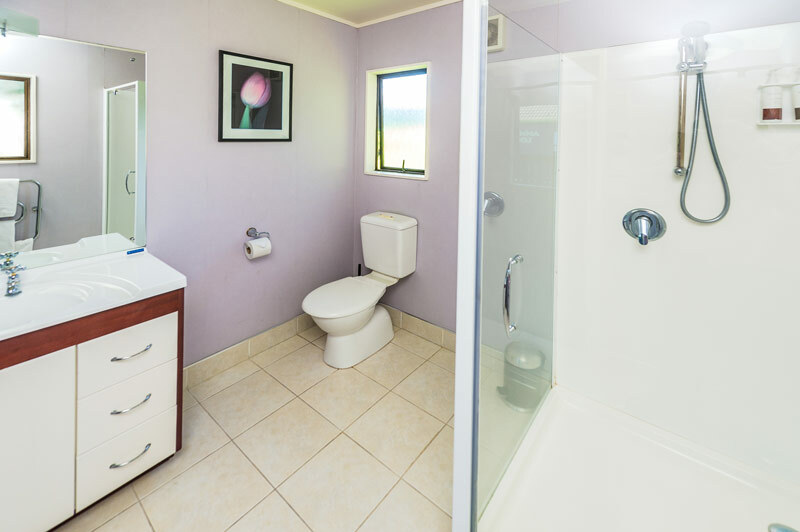 The private suite has its own basic kitchenette/dining area and private bathroom with twin showers. 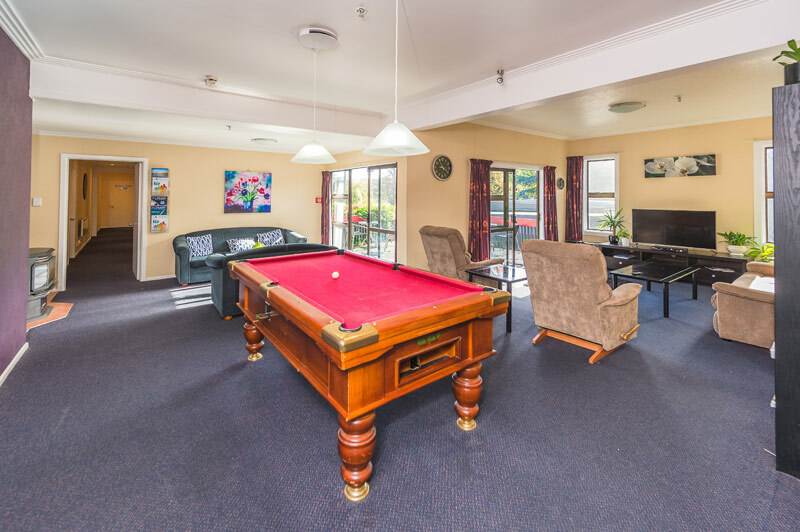 Simply unlock the adjoining door and the private suite can open up into the communal Lodge areas where guests are free to enjoy large lounge areas to relax in, a pool table, a large dining area, a large kitchen with full oven and a balcony overlooking the mighty Whanganui River. Let us know your preferred bedding configuration as the super king and double beds can split into singles creating all sorts of possibilities for whatever your group requires. 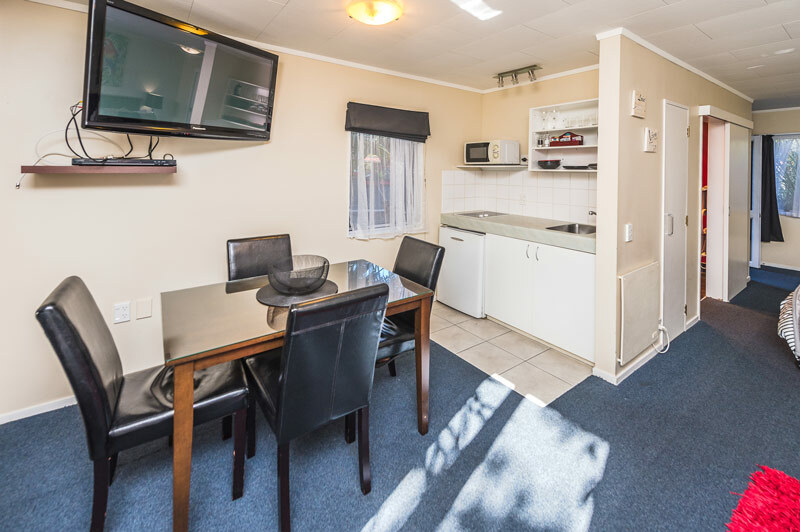 The suite is situated right next to the pool, spa pool and the covered BBQ area perfectly positioned to keep the kids occupied during your stay. 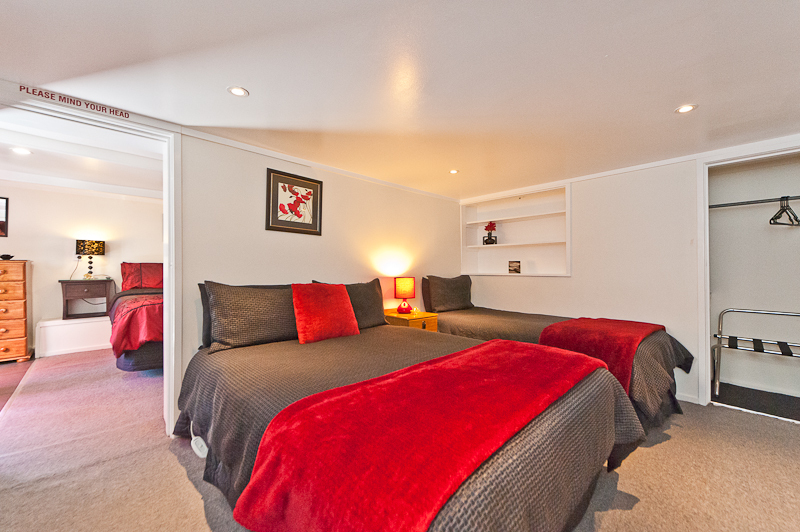 Our Gardenview family studio is a private suite set away from the main Lodge buildings. 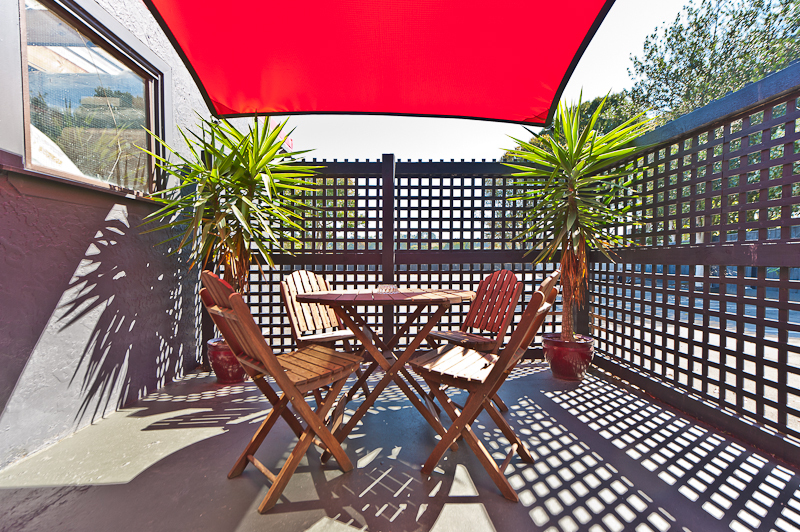 It has parking right outside the unit and is suitable for 3 or 4 people. 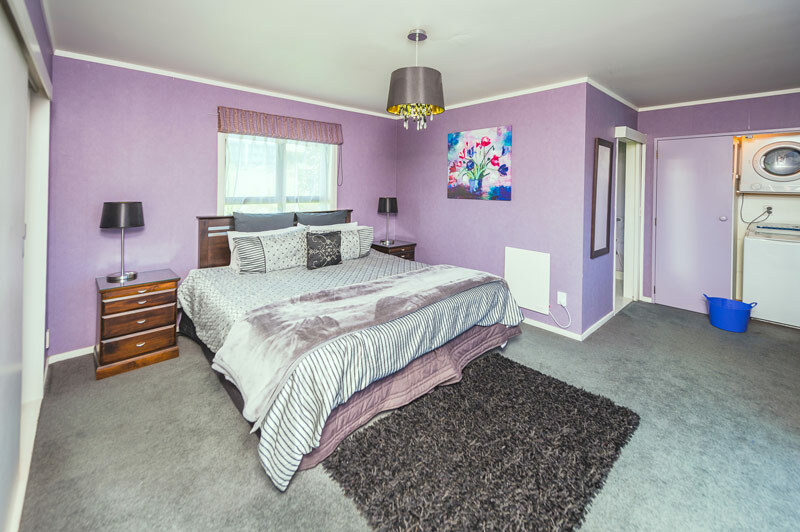 The unit contains a king size bed and a single bed with the added benefit of a fold out sofa bed for any extras that come along. 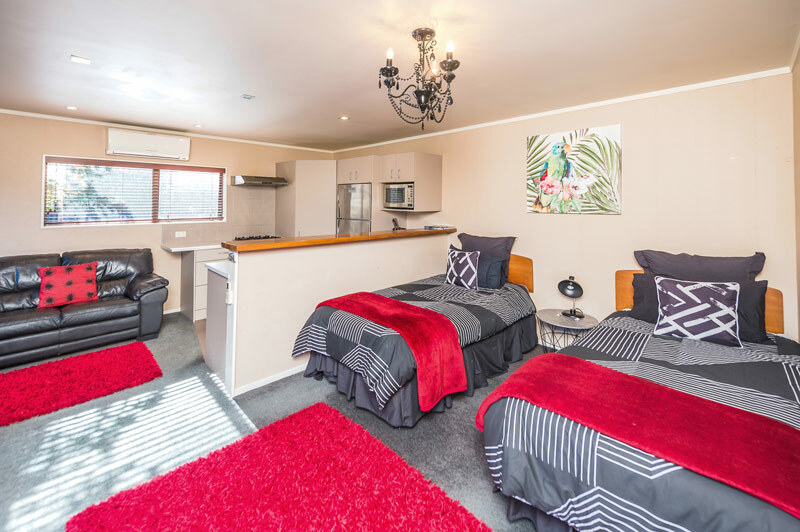 The beds are all set in an open plan design that includes a kitchenette with microwave and two hotplates, a lounge area and a dining area set for four people. 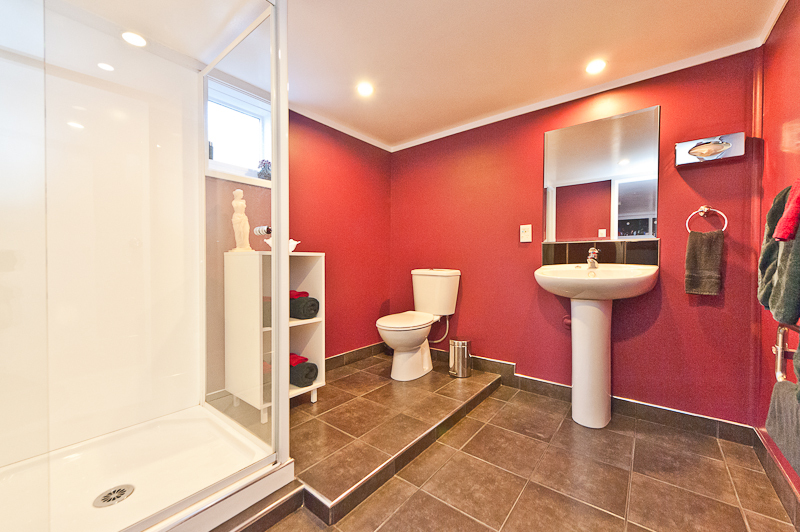 The ensuite bathroom is attached to the main area and has a walk in / roll in shower. 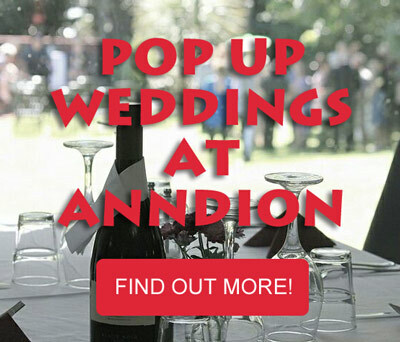 Outdoor seating overlooks our private wedding area which is surrounded by mature trees and a large lawn for the younger or more enthusiastic ones to run around on. The pool and spa are only 30 metres away as is the communal areas of the lodge including a large lounge and pool table. The Anndion Cove is a private hideaway of modern comfort with style. With its lower stud height, it is a hideaway of comfort and style. 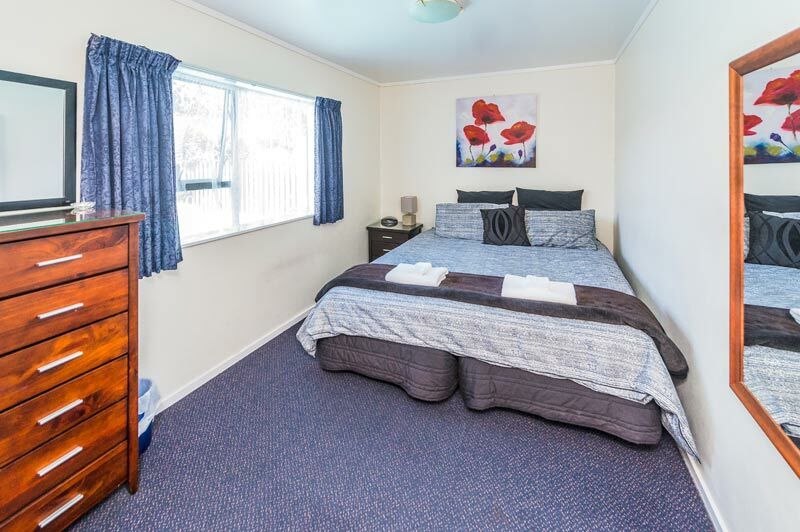 This 2 (interconnecting) bedroom suite has a single bed with a fold out couch and offers accommodation for 5 with 2 double and 1 single bed. A cot is available on request. 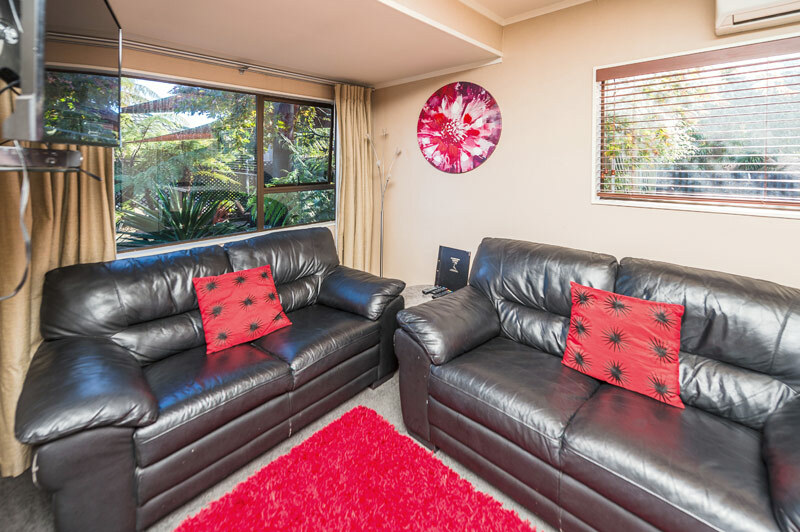 The lounge area has an LCD TV and DVD player, free Wi-Fi, a kitchenette with microwave, fridge/freezer and tea & coffee making facilities, a spacious bathroom with shower and heated towel rail and the master bedroom an LCD TV and French doors opening onto a sunny courtyard. 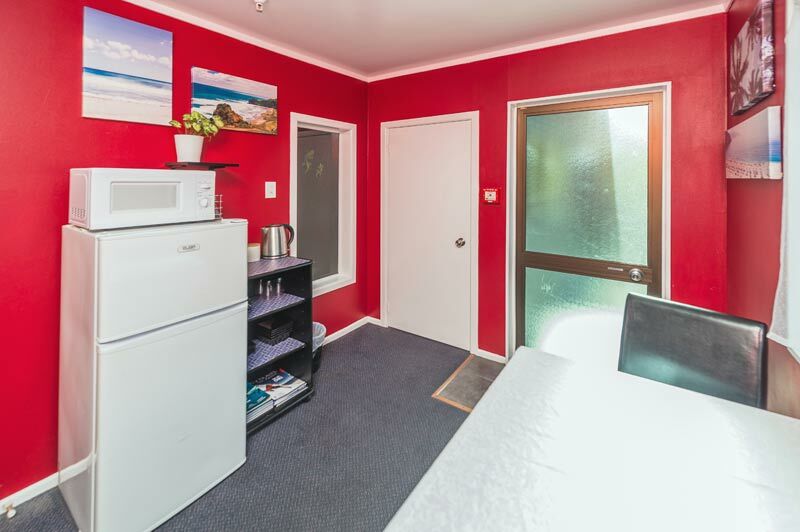 The apartment has a spacious bathroom and lounge area with an LCD TV/DVD player, and fridge, tea and coffee making facilities for your convenience. Serviced daily. 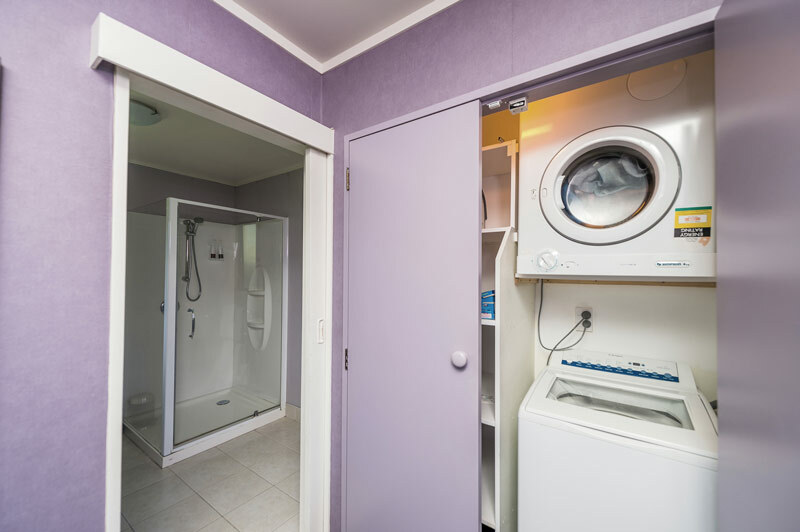 Free broadband and wireless internet are provided, bar facilities, a covered outdoor BBQ courtyard, guest laundry and a courtesy vehicle are also available. 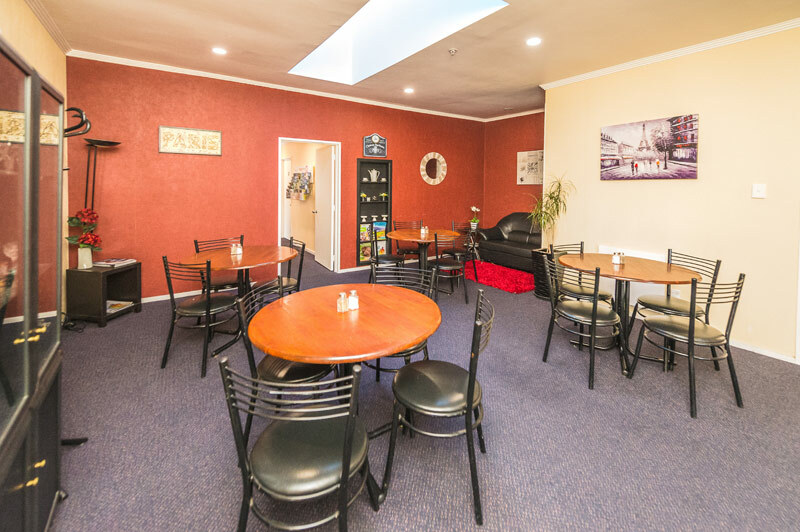 Only minutes from the city center, situated on the banks of the Whanganui River, take in the sights of the Wanganui Arts and Cafes. 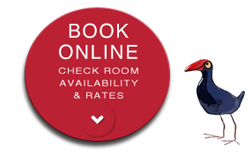 Your hosts have an award-winning reputation for the standard of holiday accommodation offered – blended with welcoming hospitality and unsurpassed service. 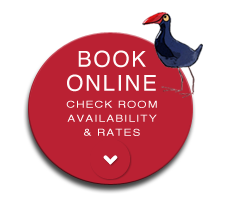 Extremely efficient booking in process with the staff going pout of their way to provide what was required. The staff were very welcoming. 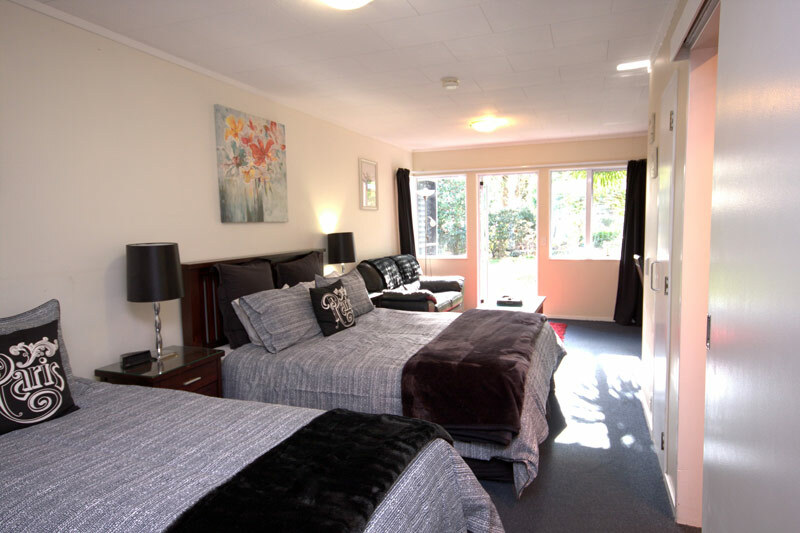 Enjoyed the quality of the rooms. The service was very good. We would definitely come again. 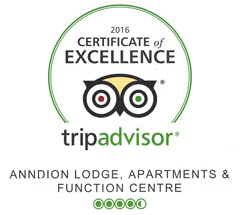 We had such a lovely time at the Anndion Lodge. The rooms were immaculate the whole atmosphere was wonderful. 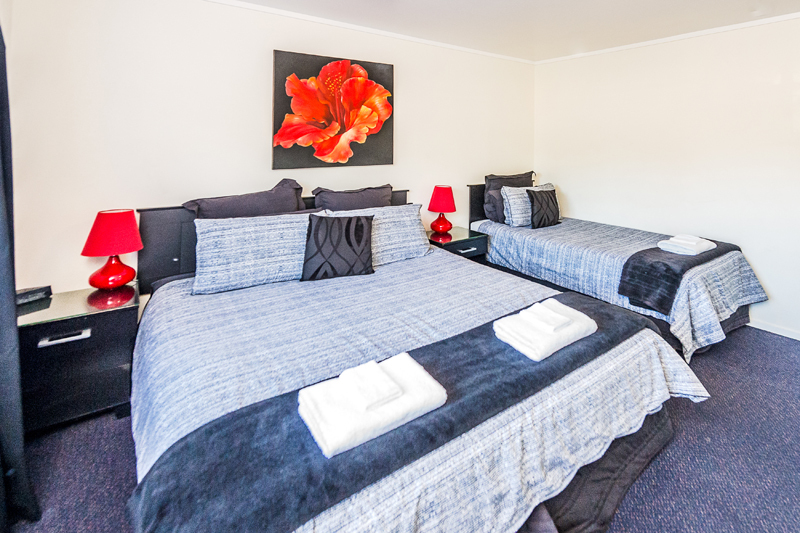 We were pleased with the price, I will definitely recommend this perfect to anyone traveling to Wanganui. I wanted to take this time to say how much of a great stay Richard (Tidbury) and I had. 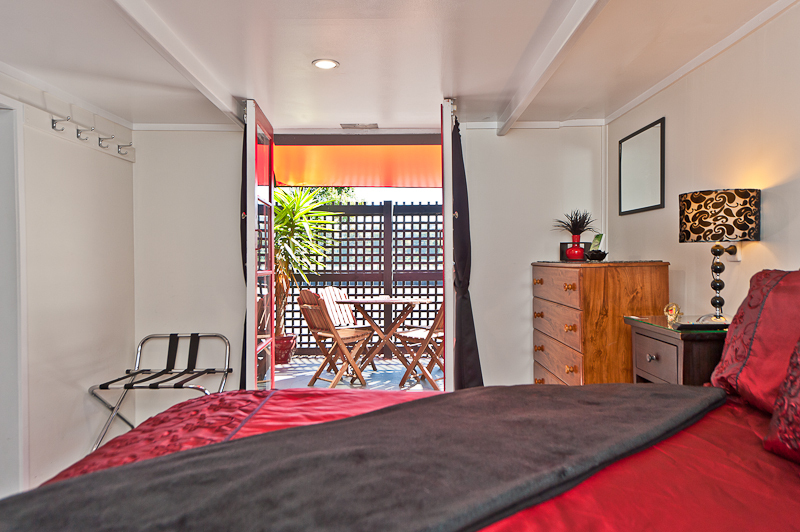 The room we got was clean and tidy and the décor was modern and simply beautiful. We really wanted to try out the spa/hot pools but couldn’t brave the weather 🙂 Everything was all fantastic. We recently celebrated a birthday milestone and family reunion at Anndion Lodge. The service right from the start was excellent, from the correspondence to the planning of the meal and the accommodation. 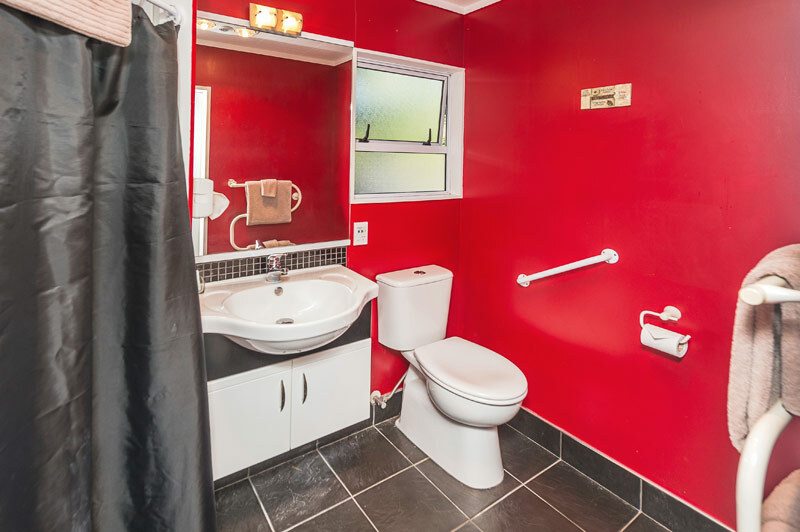 Very personal friendly and comfortable. A great venue for family occasions. Highly recommended ! 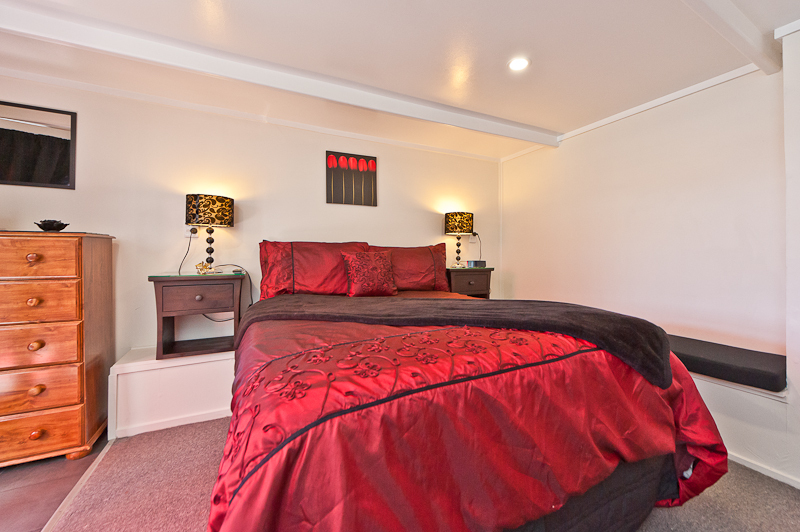 NAKI ILLUMINATI LIMITED T/a Anndion Lodge - New Zealand owned and operated.